After waking up from a stroke, his wife is the only person that can understand him. Doctors have diagnosed him with a form of brain damage that causes shifts in language ability. 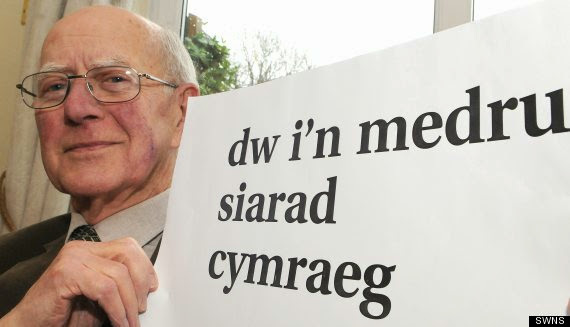 He was evacuated to Wales during the Second World War. Thus, due to this fact, the doctors believe that the language sunk in and released by the stroke.